PROCTOR & GAMBLE: MASS LAYOFF DANGER AHEAD? — AM I NEXT? PROCTOR & GAMBLE: MASS LAYOFF DANGER AHEAD? The fox may be in the hen-house. 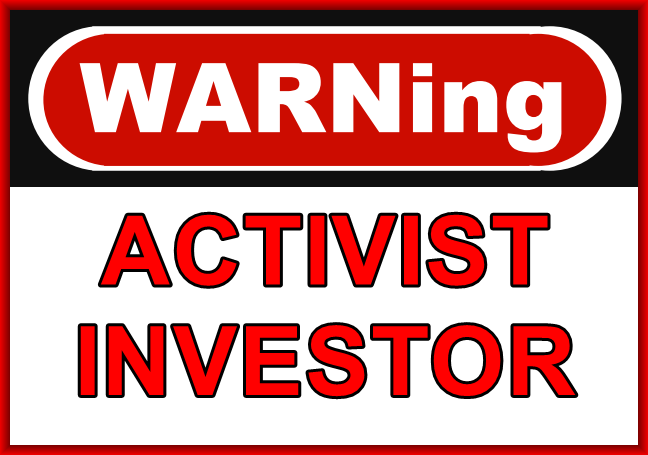 It appears that whenever an activist investor, yesterday’s Wall Street Gunslingers, purchases a significant stake in a company or assumes a seat on the board, restructuring, and mass layoffs are sure to follow. According to the Wall Street Journal, Nelson Peltz may have won his proxy battle for a seat on the giant consumer goods company Procter & Gamble by the thinnest of vote count margins. Reportedly 43,000 votes out of 2 BILLION votes — a 0.002% margin. Allegedly the proxy battle cost Peltz’s Trian Partners and P&G approximately $100 MILLION – quite a few employees to make up the loss. The handwriting is on the wall, it is up to the P&G employees to react accordingly.